Lettice, Viscountess Hereford, ‟one of the best-looking ladies of the court“, was 21 and pregnant with her third child, when she attracted the attentions of Robert Dudley, Earl of Leicester, Queen Elizabeth’s great favourite and long-term suitor (and lover, it was whispered). It was the first time in seven years that he had openly dared to set eyes on another woman, and Elizabeth promptly ‟was in a great temper and upbraided him“ about ‟his flirting with the Viscountess in very bitter words“. After a few days of sulking on the earl’s and some shedding of tears on both parts, all seemed well again between queen and favourite. It was reported by the Spanish ambassador that Leicester had turned to Lettice only for the politics of courtly love – out of jealousy about Elizabeth’s own flirting with Sir Thomas Heneage.1 Whatever the exact causes of the crisis, it left a deep impression in each of the involved lovers’ hearts. As the thing is publicly talked of in the streets, there can be no harm in my writing openly about the great enmity between the Earl of Leicester and the Earl of Essex, in consequence, it is said, of the fact that while Essex was in Ireland his wife had two children by Leicester. … Great discord is expected in consequence. Nothing spectacular ensued, but it is interesting that Essex kept himself away from court over the Christmas festivities, while his wife apparently attended them; Leicester certainly did.5 The street talk about two children born to the supposed lovers was certainly just that – street talk. During the 1576 parliament Queen Elizabeth had declared that she would rather be a milkmaid with a bucket at her arm than give up her single state. It seems Leicester saw this as one of several signals that he was finally ‟acquitted and delivered“ from any hope of marrying Elizabeth.16 Cautiously he initiated negotiations with Lettice’s father and brothers and finally drew a line under his relationship with Douglas Sheffield, his earlier mistress and mother of his young son. In the evening of Saturday 20 September 1578 the Earl of Leicester welcomed his good old friend Lord North at his country house Wanstead in Essex. He confided that he intended to be married the next morning, as ‟there was nothing in this life he more desired than to be joined with some godly gentlewoman“;17 to Mr. Tindall, his chaplain, the earl had further explained ‟that he had for a good season forborne marriage in respect of her Majesty’s displeasure and that he was then for sundry respects and especially for the better quieting of his conscience determined to marry with the right honourable Countess of Essex“.18 The actual ceremony occurred on Sunday, between seven and eight in the morning, and Mr. Tindall later remembered that the bride had worn a ‟loose gown“. This last observation has led many authors to claim that she was pregnant, and that therefore the match was a gun-shot marriage, forced on Leicester by Sir Francis Knollys. Elizabeth could never accept the fact that there was now a Countess of Leicester, even when she visited the Earl of Leicester’s houses. And so Lettice Dudley continued to style herself Countess of Essex for several years into her new marriage and lived very discreetly, often with her relatives at the Knollys family home in Oxfordshire. Her husband still loved her, though, and she went through three further pregnancies, only one of which came to a success with the birth of Robert, Lord Denbigh in June 1581. 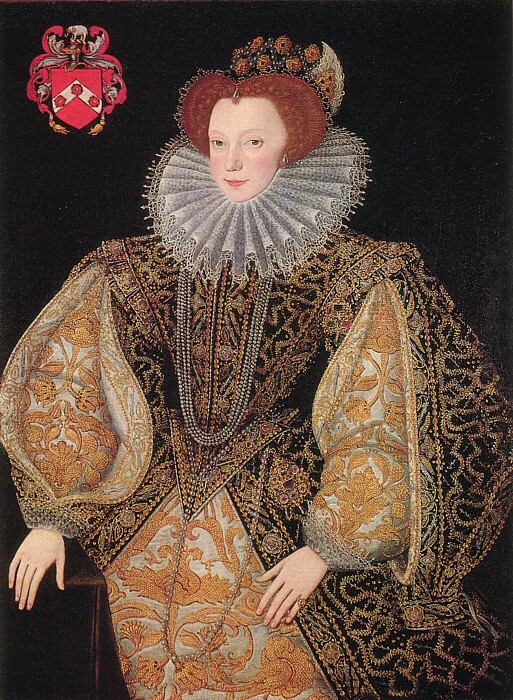 In the summer of 1583 Elizabeth was once again furious with Dudley “about his marriage, for he opened the same more plainly than ever before”, the reason being that Lettice lived now openly at her husband’s London residence. Michel de Castelnau, the French ambassador, was a guest at Leicester House around this time: “He especially invited me to dine with him and his wife, who has much influence over him and whom he introduces only to those to whom he wishes to show a particular mark of attention.”20 The philosopher Giordano Bruno equally noticed that there was no better way to win the earl’s goodwill than by dedicating a book to his disgraced wife. As is apparent from these reports, Lady Leicester was of a wholly practical nature. The earl would very much have welcomed any letter from England,23 but he certainly valued his wife’s common sense after his earlier experiences with ladies who had been marked by a streak of hysteria. And Lettice still loved her husband; she was distraught at his second departure to the Netherlands in June 1587 after he had already been away for almost a year the first time.24 It is often implied that she did not mourn him enough after his sudden death in September 1588 because she soon married again – Sir Christopher Blount, the earl’s much younger Gentleman of the Horse and relative. With Blount, whom she described as her ‟best friend“, she enjoyed a both loving and practical partnership, coming to terms with Leicester’s difficult financial legacy. Robert Dudley, though, remained the ‟best and dearest of husbands“. Calendar of State Papers, Domestic Series, of the Reign of Elizabeth, 1581–1590. (ed. by Robert Lemon, 1865). Calendar of … State Papers Relating to English Affairs … in … Simancas, 1558–1603. (ed. by Martin Hume, 1892–1899). Correspondence of Robert Dudley, Earl of Leycester, during his Government of the Low Countries, in the Years 1585 and 1586. (ed. John Bruce, 1844). Camden Society. Manuscripts of The Marquess of Bath, Volume II. (Historical Manuscripts Commission, 1907). Manuscripts of The Marquess of Bath, Volume V: Talbot, Dudley and Devereux Papers 1533–1659. (Historical Manuscripts Commission, 1980). Adams, Simon (1995): Household Accounts and Disbursement Books of Robert Dudley, Earl of Leicester, 1558–1561, 1584–1586. Cambridge University Press. Adams, Simon (2002): Leicester and the Court: Essays in Elizabethan Politics. Manchester University Press. Adams, Simon (2004a): “Dudley, Lettice, countess of Essex and countess of Leicester (1543–1634)”. Oxford Dictionary of National Biography. Oxford University Press. 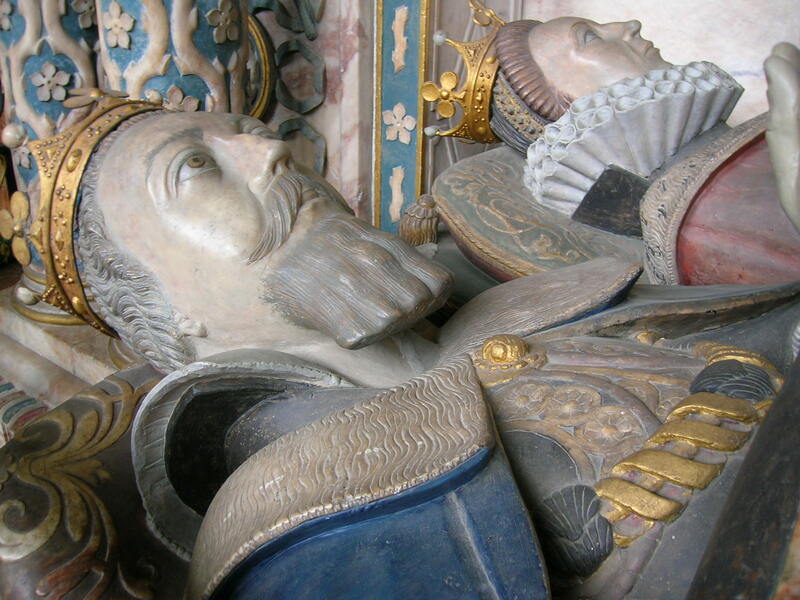 Adams, Simon (2004b): ‟Dudley, Robert, earl of Leicester (1532/3–1588)“. Oxford Dictionary of National Biography. Oxford University Press. Bossy, John (1991): Giordano Bruno and the Embassy Affair. Yale University Press. Burgoyne, F. J. (ed.) (1904): History of Queen Elizabeth, Amy Robsart and the Earl of Leicester, being a Reprint of “Leycesters Commonwealth” 1641. Longman. Chamberlin, Frederick (1939): Elizabeth and Leycester. Dodd, Mead & Co.
Collinson, Patrick (ed.) (1960): “Letters of Thomas Wood, Puritan, 1566–1577”. Bulletin of the Institute of Historical Research. Special Supplement No. 5. November 1960. Doran, Susan (1996): Monarchy and Matrimony: The Courtships of Elizabeth I. Routledge. Freedman, Sylvia (1983): Poor Penelope: Lady Penelope Rich. An Elizabethan Woman. The Kensal Press. Jenkins, Elizabeth (2002): Elizabeth and Leicester. The Phoenix Press. Read, Conyers (1936): “A Letter from Robert, Earl of Leicester, to a Lady”. The Huntington Library Bulletin. No. 9. April 1936. Varlow, Sally (2007): The Lady Penelope: The Lost Love and Politics in the Court of Elizabeth I. André Deutsch. Wilson, Derek (1981): Sweet Robin: A Biography of Robert Dudley Earl of Leicester 1533–1588. Hamish Hamilton. This entry was posted in Elizabeth I, errors & myths, family & marriage, Lettice Knollys, Robert Dudley and tagged Buxton, Earl of Essex, Giordano Bruno, Kenilworth. Bookmark the permalink.